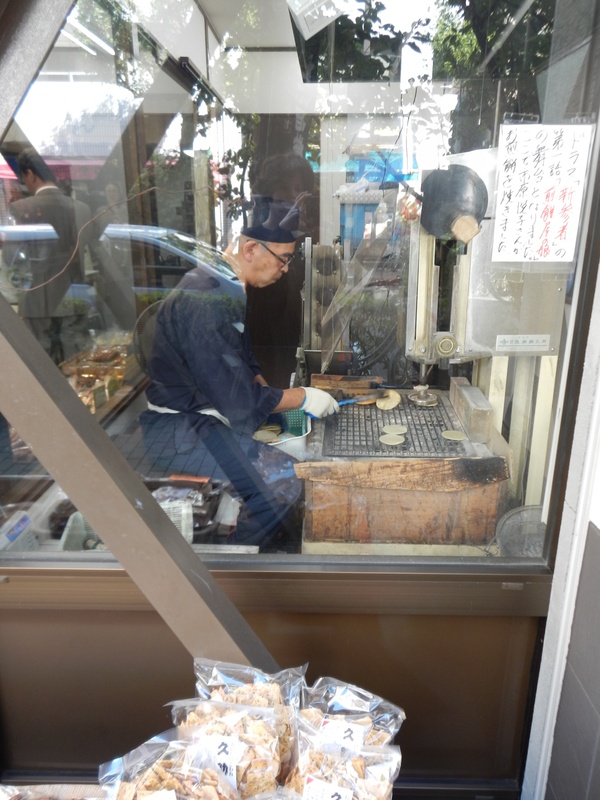 Ningyocho is a lovely district of Tokyo that is filled with many shops, some with artisans at work like this sembei shop. You’ll also discover a popular taiyaki stall as well as several sweets shops with azuki stuffed ningyoyaki cakes and much more. 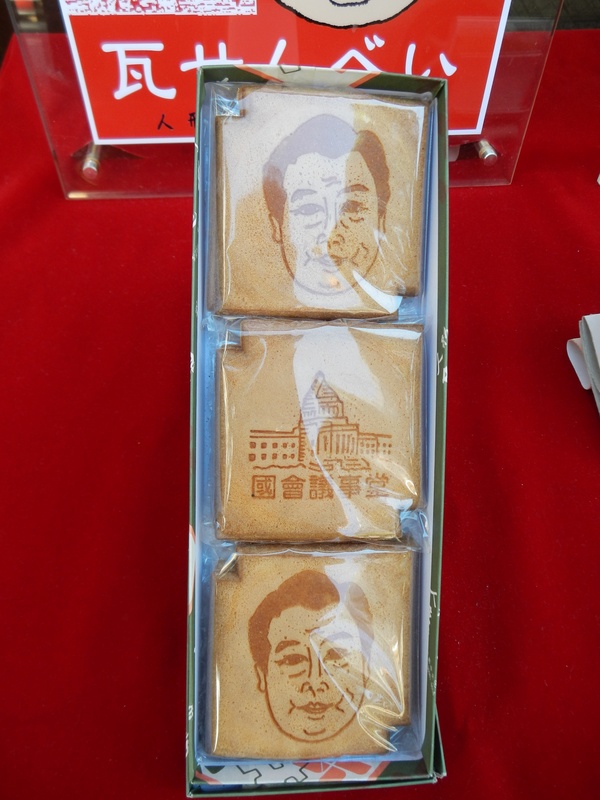 There are always surprising delights in the area, including these crackers with the face of the prime minister, Noda-san. One of my favorite shops is Futaba Tofu, of course for its tofu, but also for soy milk doughnuts. I will be guiding a tour of Ningyocho on Tuesday, November 13th. The tour includes a copy of my book, Food Sake Tokyo. Please register at Elizabeth Andoh’s Taste of Culture website. 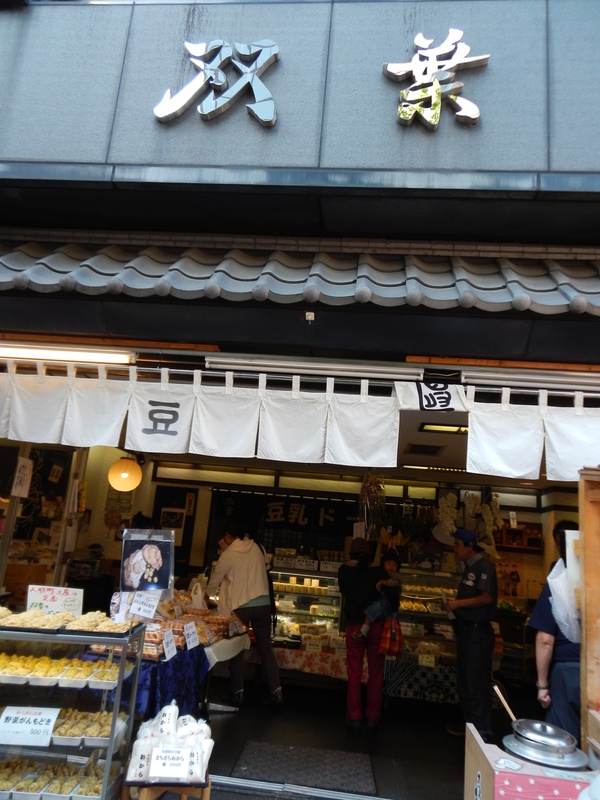 Depachika Tour – There will also be a tour of a depachika, the epicurean gourmet food halls in the department stores. I worked at Nihonbashi Takashimaya for two years and will share many things that you may miss while visiting on your own. The depachika tour will look at all of the areas including sake, confectionaries (both Western and Japanese), osouzai (prepared foods including bento), meat, seafood, bakeries, and the supermarket area.